A long time ago, a very smart man said to me, “90% of the problems in any setup are the cable.” That may have been an exaggeration, but I can’t tell you how many times he was right. Usually it was a bad connection, the wrong cable for the job, or some really weird unexpected mismatch that turned out to be the issue. Putting in the right cable fixed things up very quickly. If you want to learn all about cables, the terms you need, and the difference between them, check out our series, “Cables 101.” As part of building our new web platform, I organized all these tutorials into a helpful group. With these 56 articles (to date) you can learn what kind of cable is best, what the key terms are, and even how to make cables the right way. It’s a one-stop destination for all your cable curiosity. If I had to recommend one article, though, it would be this short one: Why you shouldn’t buy your cables at a home store. It’s really tempting to just head on out to the local hardware store and pick up some cable that looks perfect to you. The problem is that most home store cables won’t work for most projects. They will work sometimes, though, and do you know when it’s ok to use cables from the local store? Read the article and you’ll find out. If you’re a professional a lot of these articles are going to seem pretty obvious to you, but keep in mind there are a lot of people who are just getting into this sort of thing. It’s very easy to make mistakes — you spend more than you need and you end up having problems that are very hard to find. 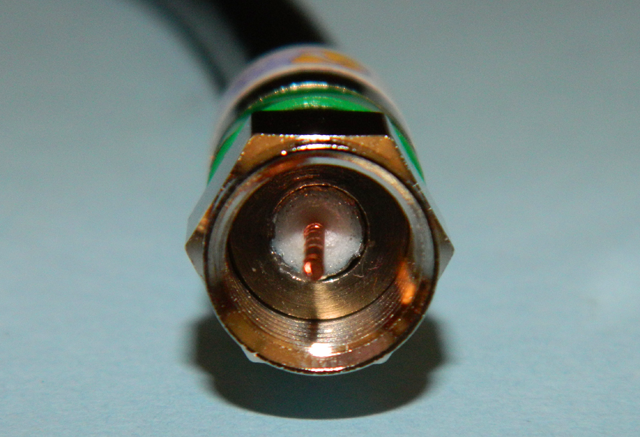 Read “Cables 101” now at The Solid Signal Blog.